It can be hard to imagine that many of the applications and programs we use today are built by hundreds of thousands, even millions, of people all over the world. Open-source software (OSS) is a rapidly growing industry that provides many benefits to the individuals and businesses who use it, as well as to its programmers. For many outside of the IT world, the concept of contributing to open-source software seems like a remarkable psychological phenomenon, as many of the contributors do it by their own free will and are quite often unpaid for it. The thought of contributing to something that requires a good amount of time without getting a dime for their work can be hard to fully understand. However, for developers especially, contributing to open-source software provides many valuable advantages and opens doors to a number of highly lucrative and rewarding opportunities, and there are not too many other industries that can boast the massive number of global contributions like the open-source community can. As with almost all professionals, the only way to truly learn and perfect your craft is to practice, practice, practice. However, few professions provide the means to practice on real projects. A mechanic, for example, can gain skills and experience by working on his own car or a friend’s, but won’t necessarily receive the valuable feedback from a seasoned mechanic needed to further develop his skills. For developers, contributing to OSS means that they not only practice their programming skills, but that they also learn and gain feedback from more accomplished programmers. This jumping-in-the-deep-end style of learning provides aspiring programmers with real-life, first-hand experience and greatly accelerates their learning curve. In order to help young programmers improve their skills, a number of OSS projects now include tickets designed for aspiring programmers to gain genuine programming experience, such as Symfony’s selection of easy picks. Apart from providing novice programmers with experience, they also free up the core developers’ schedule so they can spend that time tackling more difficult issues or improving the software in other ways. Another motivation that is closely related to the first point is that OSS provides young developers with useful and valuable experience often required by companies for employment, even for internships and entry-level positions. Contributing to OSS allows developers to become better at reading code produced by others, finding and fixing bugs, and adding their code into the main repository. These are all activities developers experience working in a tech company. Gaining real experience before applying for an internship can not only help secure a position at a well-sought-after tech company, but can also help move you into full-time work and accelerate your career. Most people who are passionate about something strive to be recognized for the quality work they produce, and for some, developing software is a huge passion. Recognition from members from the OSS community not only encourages and motivates a developer to improve his or her skills, it can also create a number of opportunities, such as job offers and invitations to attend conferences and events, etc. Another important aspect of this point is self-recognition and personal achievement. Many developers are extremely determined to become the best developer they can be to meet certain personal goals, and having your code accepted by a big OSS project is a considered a massive achievement. In the same way contributing to OSS can help you increase your chances of landing an internship, it can also improve your job and career prospects. Nowadays, when many tech companies receive a CV from a prospective developer, they usually skim over the sheets of paper and spend more time investigating the applicant’s Github account. The fact that OSS is visible to the public means that prospective employers can inspect your code and assess your skills as a developer based on the code you have written. In contrast, commercial (proprietary) software doesn’t provide you with the same proof of your abilities, and overall it is much harder to gain experience in this realm. While the increase in job prospects at big tech firms is one of the main effects of OSS contribution, there are also a number of other opportunities that can arise, such as consulting and freelance work. 5. 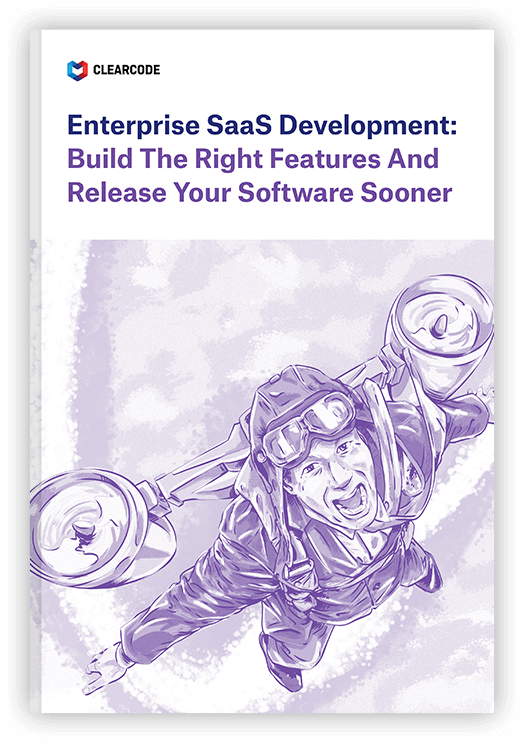 Improve Software on a User and Business Level. A lot of the time, developers first come across OSS as users. In this case, the desire to contribute to this particular piece of OSS stems from wanting to improve it for their own use – either by improving certain areas or by developing new features and functionalities. The beauty of OSS compared to proprietary software is that this is all possible. Even if a user isn’t a programmer, he or she can still suggest new features and functionalities to the software’s owner or core team. This desire to contribute can also resonate on a business level. If a business owner or company is using a piece of open-source software and would like to make some changes or add new features to meet a certain business need, then this is also a real possibility. The result is a win-win situation, as the business gets a new feature (either by developing it themselves or suggesting it to the core team) and the software also receives a new feature that can often be utilized by other users. Although the above points center around a developer’s motivations for contributing to OSS, the same points can also apply to other individuals. Within every open-source project, the requirements for non-programming skills and contributions are just as necessary. Language translators, designers, and many other professionals can apply their skills and experience to improve OSS. This global and constant collaboration is increasing open-source software’s popularity and is making the software that we use on a daily basis a whole lot better. Here at Clearcode, our development teams regular utilize open-source software in their projects due to the many benefits it offers. We consider ourselves part of the OSS community, therefore we contribute to it. Learn more about our contributions to open-source software by clicking here. How Can Agile Help You Work With a Distributed Development Team?